The best part of buying a bunch of beets is that you get the leafy greens attached to the beets. These beet greens are really flavorful. They have a bit of the earthy taste that you find with beets and a consistency like chard. The only bad thing is that with a bunch of 3-4 beets, you get enough of greens to serve about 2 people. So you need to buy plenty of beets to have enough beet greens for 4 to 6 people, which is why beet greens aren’t the most popular green. The next time you buy beets, don’t discard the greens, rather sauté them in olive oil and then add one thinly sliced beet to the greens and sauté that for a minute until softened. Season with salt and serve. I used light red beets for this dish. 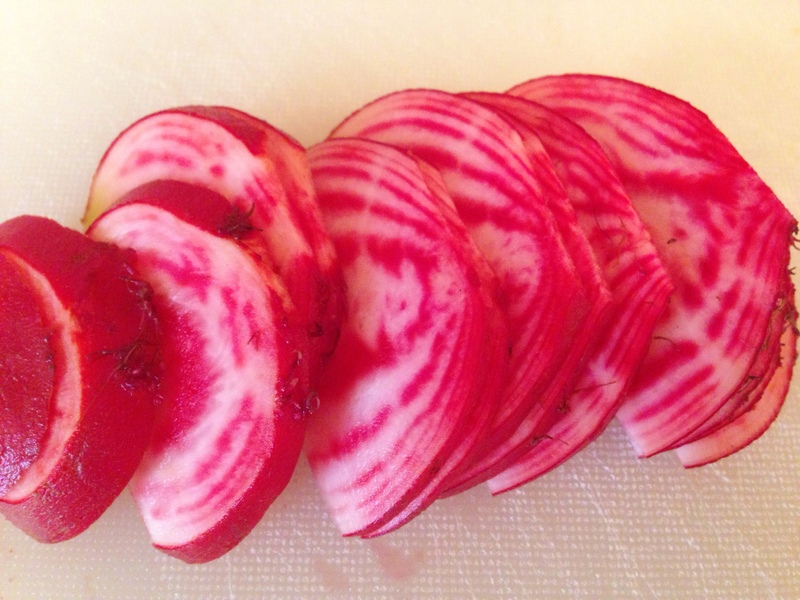 You can easily use golden or dark red beets as well. 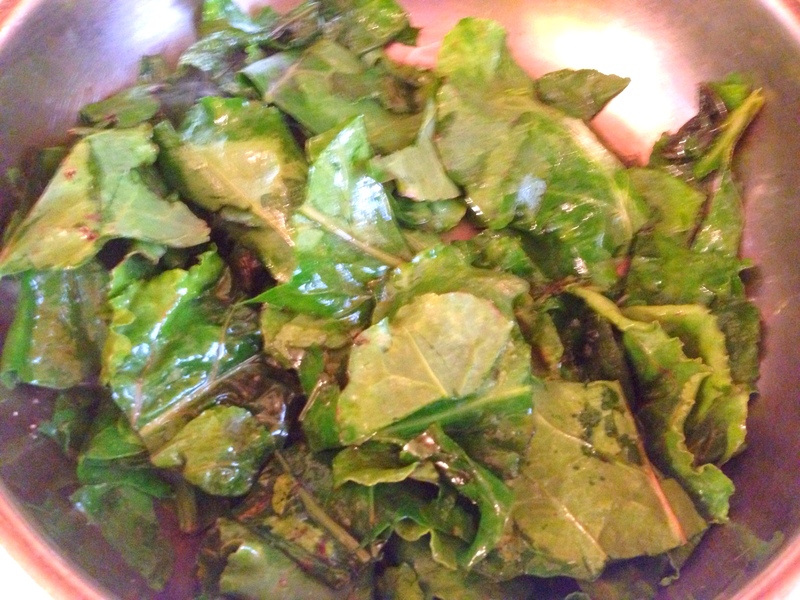 Cut beet greens into pieces about 2 wide. Heat EVOO in pan and add greens and sauté until soft, about 2 minutes Add sliced beets and sauté for 1 minute. Season with salt and serve. 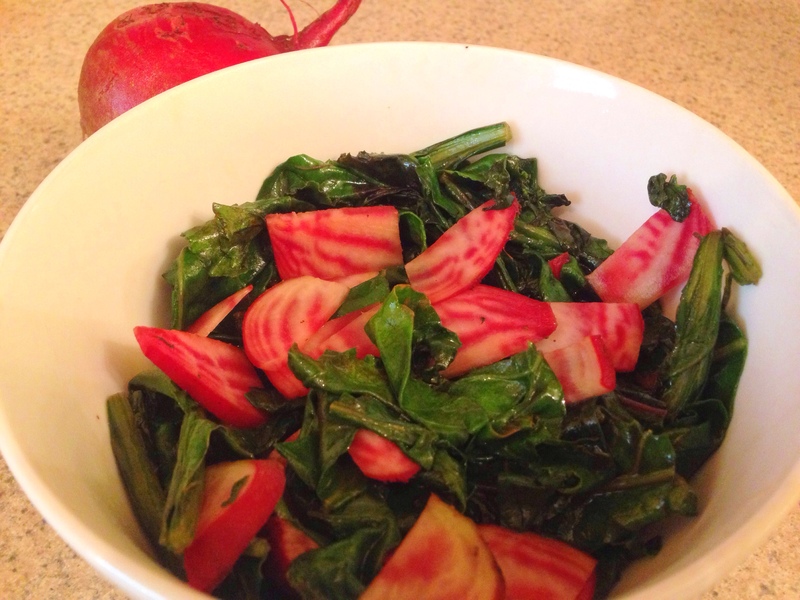 This entry was posted in Blog, Recipes and tagged Beet Greens, Beets on November 1, 2014 by Leslie.